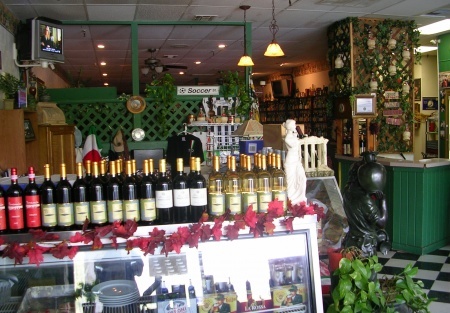 Selling Restaurants is proud to present this great family style Italian restaurant that also serves Pizza and beer and wine in a great location in east Sacramento area. This restaurant is an absolute steal at this price and it won't last. So don't waste time. Make an offer now! Despite the weak economy and the lower sales, this restaurant is set for success with a great cost structure where it makes $5,000+ a month on sales of $25,000. The rent is less than $1 per sq. ft. including CAM. Food costs are less than 20%. Labor costs are 21%. With these percentages and when the economy turns-up, the buyer here will make a lot of money! Of course you'll need to operate the business as well as the current owner's mother does. We had this restaurant sold at a much higher price over a year ago. Unfortunately the buyer had issues with the liquor license authorities and the deal fell apart at the last minute. The owners in anticipation of this sale, moved to Arizona where they have a very successful restaurant operating and they need to sell this NOW to get the mom to Arizona to help. The present owners have created a superb reputation in the area and run a profitable and respected restaurant. The Kitchen was totally remodeled in 2007 with a new Hood, stoves, fridges and Ansul fire system. No further investment is required and makes for an INSTANT turn key opportunity. Presently the owners only operate the restaurant for six evenings, totaling 27 hours per week therefore there is ample opportunity to increase Gross Sales by opening for lunch and at weekends capturing the wedding reception and Sunday Brunch market. The building itself is in good condition and has pleasant curb appeal. 2,500 square-foot situated in a small mall which has ample, well lit parking right up front. Currently there is no outdoor seating, which new owners may be able to establish. Inside, the dining room seats 75 and there is space for a further 25 seats outside. There is also ample preparation area and storage space and a good sized brand new Kitchen. The owners have priced this to sell quickly at only $85,000. The rent is also very low considering it's location at only $2,500 per month ($1.00 per sq ft) with 1/2 a year remaining plus a further 5-year option. The kitchen, while fully equipped, is laid out to maximize efficiency of movement. The tables, chairs and decorations all come with this fully equipped and ready to go restaurant. Makes money even at lower volumes. Modern Kitchen Facility and Prep area. Type 41 licence with Bar and wine. Well Decorated with Italian Concept. Profits Shown are from 2009 Year-to-date through September and then annualized. Great Opportunity for a Chef Owner. Limited hours - dinner only. Huge increase in sale possible for lunch as well. Owner relocated to Arizona and Must Sell Now.